Whether you’re dealing with a crack in your enamel or one or more teeth that are missing altogether, you can find the support you need at Water’s Edge Dental. South Daytona dentist Dr. Sean Bannan and our team aren’t interested in passing unfair judgment; instead, we want to give you back the healthy and happy smile you deserve as soon as possible. After all, dental injuries and decay will only get worse over time if they’re left untreated for too long, resulting in you needing to spend more time in the dentist’s chair, as well as more money. Your overall health can even be negatively affected. Thankfully, our restorative dentistry services are available to help turn the tide when it comes to oral problems. We’ll work with you closely in order to determine the treatment that will best fit your needs and concerns. Your comfort is very important to us! Tooth loss not only damages your oral health, but also makes it more difficult to chew, speak, smile, and more as time goes by. 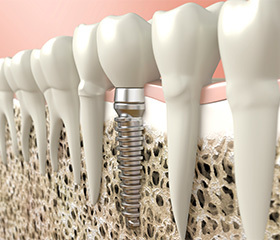 When it comes to quality choices for replacement, dental implants are the clear frontrunner. They improve your health, bolster your oral function, and rebuild your smile in a beautifully seamless fashion. Even significant tooth loss can be solved with dental implants! Our team uses the revolutionary All-on-4 technique in order to beautifully rebuild an entire arch of the mouth with just four strategically placed implants. Plus, the prosthetic is placed immediately following the implant placement, which means you’ll be able to walk out with a brand-new smile. Are you struggling with a tooth that’s injured or weakened? Have you lost one or more teeth that appear in a row? These are situations where a custom-made dental crown and/or bridge can work wonders in bringing back your best smile. 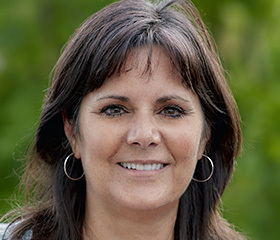 Dr. Bannan always takes the time to ensure that your new restoration is an ideal fit in look and feel. Instead of traditional amalgam, our team has decided to invest in tooth-colored fillings as a much-improved solution to cavities. We use composite resin, which comes in various lifelike shades that can be matched to your natural tooth enamel for maximum aesthetic value. This material is also more conservative and less sensitive to temperature changes when compared to metallic fillings. 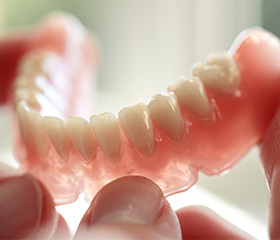 Today’s dentures are comfortable, modern prosthetics that may be a good fit for patients who are looking for convenience and affordability in their tooth replacement solution. Dr. Bannan offers both full and partial models that are custom-fit for your unique mouth and removable in nature. If you have a tooth that’s severely pained or sensitive, an advanced infection has likely taken hold of it. Thankfully, extraction doesn’t have to be the only solution. Root canal therapy is a highly successful procedure that can help these teeth recover and stay put in your smile for many more years to come. 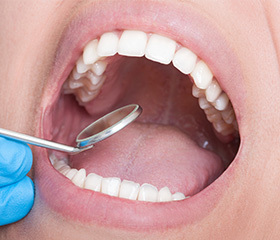 Tooth extraction is never a desired service, but it’s one that sometimes becomes necessary for the sake of our patients’ oral health and continued wellbeing. Dr. Bannan is capable of performing both simple and surgical extractions, and he will always prioritize the patients’ comfort throughout the procedure.